Classically trained from childhood and at McGill University, Beverly Glenn Copeland has performed his own music on stages across Canada since 1970, most recently this summer with the Queer Songbook Orchestra in Toronto and in Ottawa at the National Arts Centre. He has written music for films and for several award winning children's TV shows including CBC's Mr. Dress-up (1975 - 2000), Sesame Street, and PBS's Shining Time Station (aired in Canada, U.S. and Britain). He has created four musicals, partnered with ParticipACTION, the CBC, the Toronto Board of Education, artsnb, and the Gov't of New Brunswick in various creative and educational projects. He has recorded 8 albums. His music has been performed by artists including Rita MacNeil and Jackie Richardson, and by the Toronto Pops Orchestra at Massey Hall. He was a three year permanent sitting member of the Toronto Arts Council, and a founding member of The Arts Council of Muskoka, Ontario. He has performed and/or created programs for the following Canadian Indigenous Peoples: New Brunswick - Eel Ground, Ontario - Alderville, Saugeen, Walpole Island, Mnjikaning, Michipicoten, Wahta and Wikwemikong. In the past year, Glenn's music has garnered a new, younger demographic within his international audience as a result of the re-release of several of his earlier albums. In the coming new year, he begins touring Europe with accompanying musicians. Glenn closely identifies with the multi-cultural aspect of the Dream Tapestry project, because his own most recent ancestors are of Afro-American, Cherokee First Nation, and Celtic descent. He lives with his wife, Elizabeth in Sackville, New Brunswick. 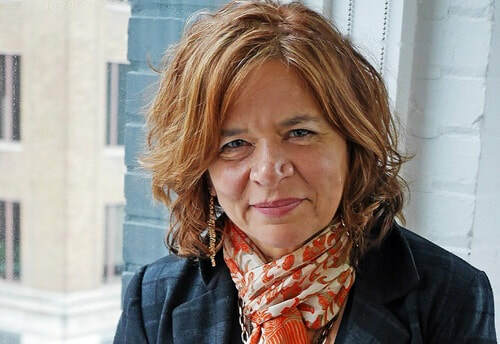 Lorraine Segato is a Canadian icon who has enjoyed an impressive career in the music industry for many years as a singer/songwriter. She is also well known and awarded for her other creative endeavours. Her career has seen five Junos, five BMAC’s, five Casbys, two Platinum and one Gold record as well as a SOCAN Classic Award for "Rise Up." Most recently her band Parachute Club was honoured with the Indie Hall of Fame Award from CMW's Indie Music Awards. *Social Justice Activist - House Party (2007)- A Campaign For The Homeless and Big World (1987) National Media campaign to bring awareness of Aboriginal title and cross-cut logging in the Stein valley, last virgin wilderness in British Columbia for Lytton and Mt. Currie Indian bands. Honoured by Chief Ruby Dunstan and Chief Leonard Andrews. Lorraine is also associated with countless other social justice and environmental concerns. Sharon Pollock's works as a playwright and dramaturge has led to her investiture as an Officer of The Order of Canada in acknowledgement of her contribution to Canadian culture at home and abroad. She is also the recipient of two Governor General Awards for Drama, and as well as numerous other awards. Her stage plays have been produced by major and alternative theatres throughout Canada and around the world. In addition to her full length works, she has scripted a large number of plays for Young Audiences, written for radio and television, and has led numerous playwriting and theatre workshops within formal programs at various national and international institutions, and on a personal mentorship basis. Her interest in physical narrative and corporeal dramaturgy in performance led to her engagement with the Atlantic Ballet of Canada from 2008 to 2015, most particularly in her contribution as librettist and dramaturge in the creation of four original narrative dance works: “Ghosts of Violence” “King Lear” “Don Juan” and “Phantom of the Opera”. John Herberman has been working as a composer for over 30 years. In that time he has created music for feature films, TV series, documentaries, installations and commercials. He has also composed and produced over 40 albums, garnering 5 Juno Nominations, 7 Gold Records and 1 Platinum Record. John is also an accomplished arranger, with credits including “Momentum” (feature film) starring Morgan Freeman and Olga Kuryleck, “Winnie” (feature film) starring Jennifer Hudson, and “Maman est chez la coiffure” (feature film), which won a Canadian Screen Award for Best Music in a Dramatic Feature. His orchestrations have been recorded by the members of the Toronto Symphony Orchestra, the Montreal Symphony Orchestra, and the London Symphony Orchestra at Abbey Road Studios in London, England. Currently, John is the orchestrator for an upcoming German-French documentary TV series to be recorded in Berlin in 2017. His career highlights include composing music for “Joan of Arc” (TV Series, CBS), “Once Upon a Hamster” (TV Series, YTV), and the current “Hockey Night in Canada” theme and underscore (Rogers Media), scored for 50-piece orchestra. Currently, John is composer on the UK/Canada co-production of the children’s TV series “Bookaboo” (TV series, CBC). From 1991-1993 Don was part of the First Nation Permanent Delegation, Den-Hague, Netherlands, as a Political and Cultural Attache. His duties included Lecturer to Secondary Schools and Universities on First Nation Law and philosophy including Universite de Paris and Rotterdam University of Law and Economics, Universities in Italy, Switzerland, Germany, Austria and Luxemburgh. He acted as liaison between the European community and First Nations. Don Patrick Martin is a resident and family member of Listuguj. He was educated at the Indian Day School and Secondary, Campbellton New Brunswick, Chateauguay & Listuguj Quebec. He continued his education at the Ganienkeh Indian Project, Native Law and Philosophy, Eagle Bay New York, White Roots Of Peace Traveling Collage, Hogansburgh New York. He studied Dispute Resolution and Communications, Atlanta Georgia, Montreal Quebec, Public Relations/Communications, Montreal Quebec. He pursued his love of music by studying classical piano performance in Montreal, Quebec. His work history as a consultant includes: Advising and informing First Nation Communities and Organizations as to developing and implementing culturally based governing institutions. Specializing in drafting and implementing First Nation Constitutions, Legislation, Policies and Communication systems. Advising industry/government as to developing effective culturally based communication strategies. Between 1993 and 2009, he worked as a Talk Show Host in Montreal and Kahnawake. Don is fluent in English, Mikmaq, Iroquois, and French. In 2000, under the direction of Gradimir Pankov, Alisia Pobega joined Les Grands Ballets Canadiens. She danced there for over 12 years, rising to a soloist ranking and performing in pieces by a wide range of international choreographers. She has also appeared in several dance films, Vivaldi: Le Violon Magique and Puccini: La Fin de la Voix (produced by Ciné Qua Non Média), Liberamæ (directed by Marie­Christine Letourneux) and BERTH (produced and directed by Louis­Martin Charest). She is currently dancing as an independent artist performing principal roles with Ballet Ouest (Nutcracker), Skeels Danse Montréal (Remembering Giovanni, On the Path Toward Home and Rose of Jericho), and with Margie Gillis in Daniel Ezralow’s touring production, PEARL. Along with her husband Louis­Martin Charest, she now shares the artistic directorship of the dance/film company, LIBERAMÆ performance & films. Alisia also teaches classical ballet, notably for Danse à la Carte (Montréal) and Les Ballets Jazz de Montréal. Elizabeth Copeland is the author of the award-winning novella, JAZZ. Recently shortlisted for Quill and Quire’s ReLit award, JAZZ won the 2013 Ken Klonsky novella prize, and is now available through Quattro Books. Her short stories, personal essays and poems have been published in The Furious Gazelle, Circa – A Journal of Historical Fiction, Forge Journal & Quick Brown Fox, to name a few. 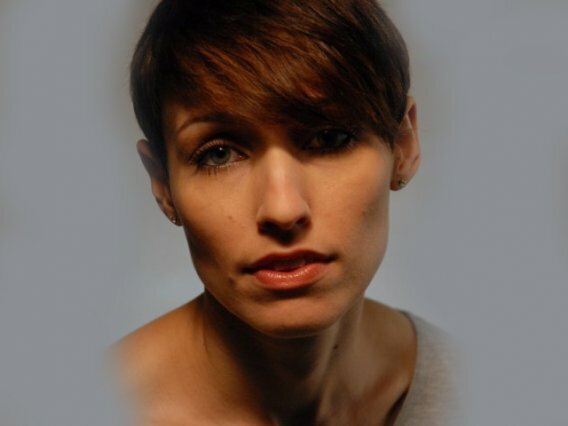 Her monologue, My Choice, was produced as part of Sarsvati Theatre’s Wild Women Festival of Monologues, and her musical play The Raven of Éirean Mhór, which she co-wrote and produced with her husband and collaborator, B. Glenn-Copeland, premiered at The Vogue Theatre in 2015 with funding support from the Government of New Brunswick. An excerpt from her novel, Traeh Gnul – Miranda’s Journey from the Great Forest won the 2014 Writer’s Federation of New Brunswick Young Adult Fiction Award (1st prize). She is currently working on a film treatment based on the narrative of her novella, JAZZ. Elizabeth has worked with Second City doing improv comedy, the Honolulu Symphony, as the Witch in Hansel and Gretel, and at Factory Theatre where she appeared in the role of Amanda in Private Lives. She has produced and directed at the Glenn Gould Studio, Carrefour Beausoleil, and at Metro Hall / Toronto. As a storyteller, she has taken the stage at the Toronto International Storytelling Festival, the Canadian National Exhibition, and most recently with the Township Tellers in North Hatley, Quebec. Jamie Mark is Conductor Emeritus of the Prince Edward Island Symphony where he served as Conductor and Director from 2000 to 2014. He has conducted ensembles in Carnegie Hall, Auditorio Paganini, Parma, Italy, the Forbidden City Concert Hall in Beijing, China, and in numerous venues in North America. He also had the honour of conducting the New Brunswick Youth Orchestra from 1994-2010. Currently he conductors the Musica Viva New Brunswick Orchestra, dedicated to supporting and furthering the careers of New Brunswick musical artists. Dr. Mark has worked with, among others, Measha Bruggergosman, Anton Kuerti, Rivka Golani, Rita MacNeil, the Barra MacNeils, Rayleen Rankin, Howard Cable, Nancy White, Sally Dibblee, Roger Lord, Peter Allen, Richard Raymond, Mark Djokic, Denise Djokic, Matt Anderson,Teresa Doyle, and Jill Barber. Rick is an internationally recognized Mississauga Ojibway artist and ecologist from Alderville First Nation in Ontario. He has been painting and printmaking professionally for more than 40 years. His well known designs are featured on fabric, paper, glass and ceramic products. Exhibitions of his art have been hosted in several countries around the world including Canada, the United States, the Netherlands and Kenya. Murals he has designed with students now adorn schools in Ontario, Canada. He founded Sweetgrass Studios, an art and literature publishing venture which ran successfully for many years throughout Canada. His diverse involvements have included consultations in aboriginal tourism, the arts, cultural history and ecosystem restoration and Species at Risk recovery efforts. He has been an ecology tour guide both in Canada and Mexico and host for “Spirit Walks”, an aboriginal tourism initiative for First Nation communities. He has illustrated several publications and was the recipient of the Governor General’s commemorative medal for community service in 1993. He received an honorary Doctor of Laws degree from Trent University in 2011. Liliona Quarmyne has choreographed and danced across Canada and internationally, including performing with Compagnie Danse Nyata Nyata, creating with Diane Roberts through the Arrivals Personal Legacy Process, and choreographing for the Noyam African Dance Institute. With extensive training in contemporary, modern, African, ballet, hip-hop and jazz dance, as well as a BA in Theatre (acting) and a MPhil in African Studies with a performing arts focus, Liliona now creates and performs new works as an independent artist. Her recent pieces include Resonances of a Warrior Boy, We are Every Moment, Dressed in Voices, Tide, Oppression, and Inside-Outside: the Dance of the Box. 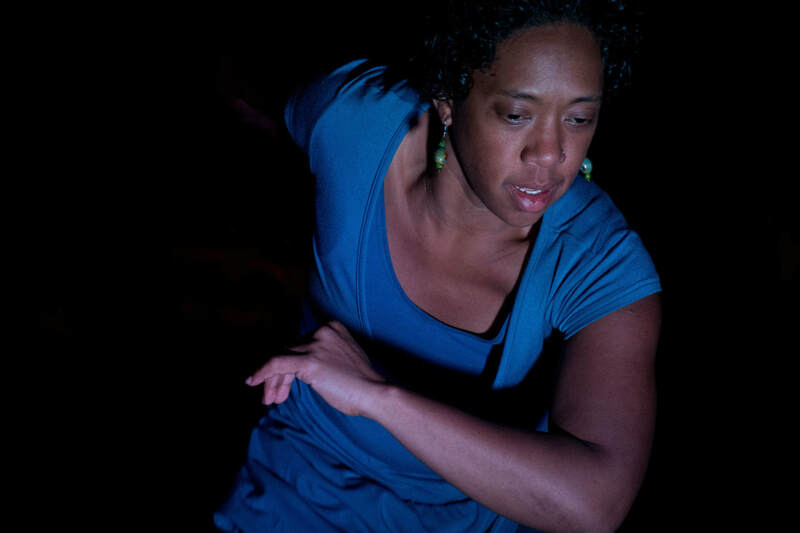 Her work has been presented by dance Immersion, Kinetic Studio, the International Association of Blacks in Dance, Antigonight, Nocturne and others. In addition, Liliona collaborates frequently with other artists in Canada, in Ghana, and elsewhere. She has taught extensively both independently and with the Antigonish Creative Dance Association and, having worked at the Tatamagouche Centre and in a number of social justice contexts, is also an experienced facilitator in social justice programming. Liliona draws on her eclectic background and diverse set of trainings and experiences to generate art that is unconventional, provocative, and grounded. She believes that the performing arts can play a central role in the empowerment of communities, in the development of self-identity, and in deepening our understanding of the human experience. Shary Boyle is an internationally exhibiting visual artist. 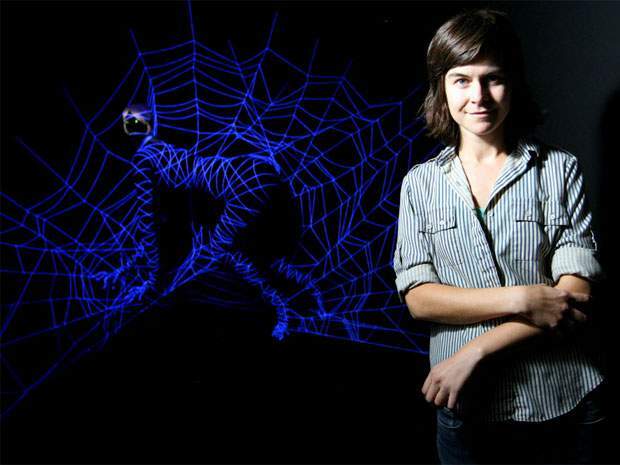 Her projects and art pieces have been shown across Canada, the U.S., Korea, France, Italy, and The Netherlands. She works across diverse media, including ceramics, sculpture, painting, installation and drawing. She maintains a dual practice alternating between her studio and collaborative touring of projection/sound performance projects. Karen has 27 years’ direct experience in marketing communications, spanning three marketing communications agencies and working through all aspects of account (client) management. Starting at Hawk Communications as Account Coordinator, then Account Manager and Senior Account Manager, advancing to Account Director at SGCI Marketing Communications and then Director, Strategy and Vice-President Account Planning & Strategy at m5 Marketing Communications. She is known for being highly strategic and building strong client relationships based on mutual trust and delivered results. In addition to account lead for key accounts, Karen has deep experience in developing strategic brand and marketing plans across a wide range of clients and industries. Clients over her career have included SABIAN Cymbals, Atlantic Lottery Corporation, LP Percussion, Expérience Acadie, and many government clients at municipal, provincial and federal levels. In addition to marketing Karen has always had a love for performing arts, having performed with some local companies and volunteered on the board of Live Bait Theatre for many years. Valarie Nichol's art and it's impact is best described by seeing it! Mouse over the first piece for a larger image and more information about Valerie. Valerie's paintings hang in several public buildings including the C.N. building Montreal, Quebec, the Ontario Lottery Corporation, Sault Ste. Marie, Ontario, the Ministry of Community and Social Services Building, North Bay, and Grace United Church in Thornbury, Ontario. They are also part of many corporate collections including "Top Performance" in Amsterdam, Netherlands and the Nicol Insurance Co. (no relation to Valerie) in Owen Sound. Leslie Van Patter is a design and communications professional with experience on the client and agency sides, and as a freelance art director for many years. Her career spans the transition from primarily print design to digital, and includes brand, marketing collateral materials, display, websites and digital advertising/social media. Leslie’s clients include companies in the recreational, educational and service sectors; non-profit organizations and associations; media agencies; local government; and publishing. Her focus is on providing excellent client service for projects of all sizes, from concept to completion. Current clients include: PHD Canada, the Canadian Quilters’ Association, Bleuets New Brunswick Blueberries, Sackville Memorial Hospital Foundation, New Brunswick Aerospace & Defense Association, and Westmorland Historical Society. 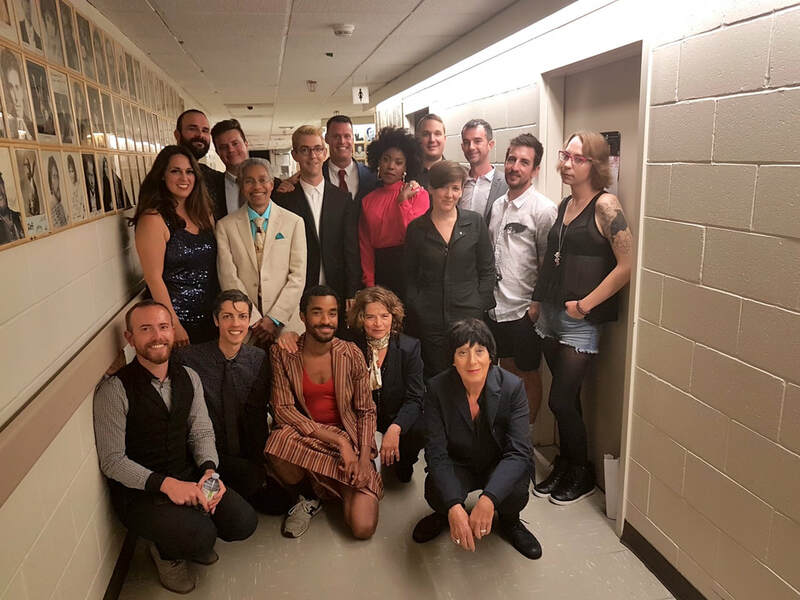 The Queer Songbook Orchestra, under the artistic direction of Shaun Brodie, is an 12 piece chamber ensemble devoted to bringing the music, and the stories behind the music, of Queer artists to the world. The QSO commissions all new interpretations of the material from many of Canada’s top composers and arrangers, and presents the songs alongside the narratives that illustrate their place in the Songbook. The QSO has performed in venues across Canada including the Banff Centre for the Arts, and most recently, the National Arts Centre in Ottawa. The QSO has expressed interest in participating as a smaller orchestral group in the Dream Tapestry Project. Photo: Beverly Glenn Copeland, Marks Tewksbury, Carol Pope, Lorraine Segato, and Gwen Benaway were guest artists performing and storytelling with the QSO in July 2017 at the National Arts Centre, Ottawa.